“I love the visual chaos of China. 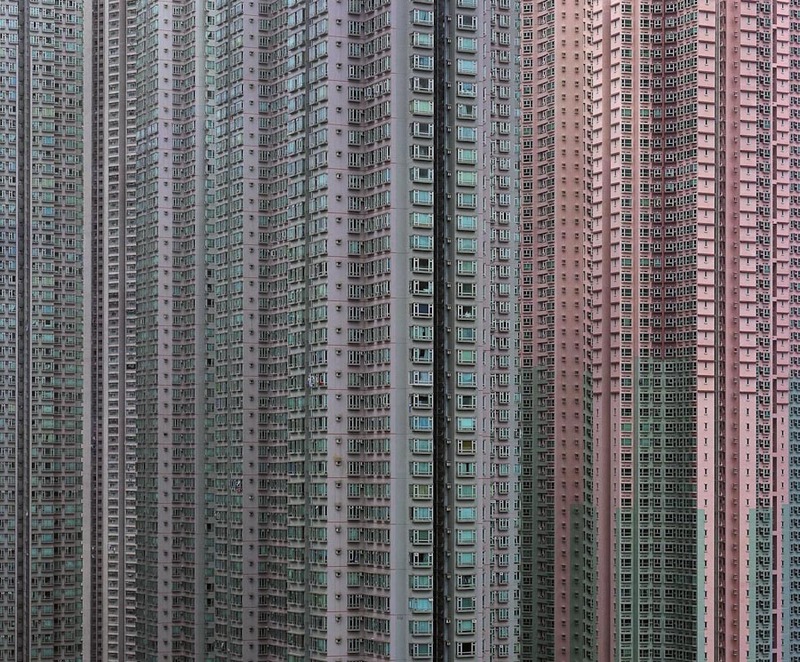 It is a photographer's dream,” says the German photographer Michael Wolf (born in Munich in 1954), who has been living in Hong Kong since 1994. 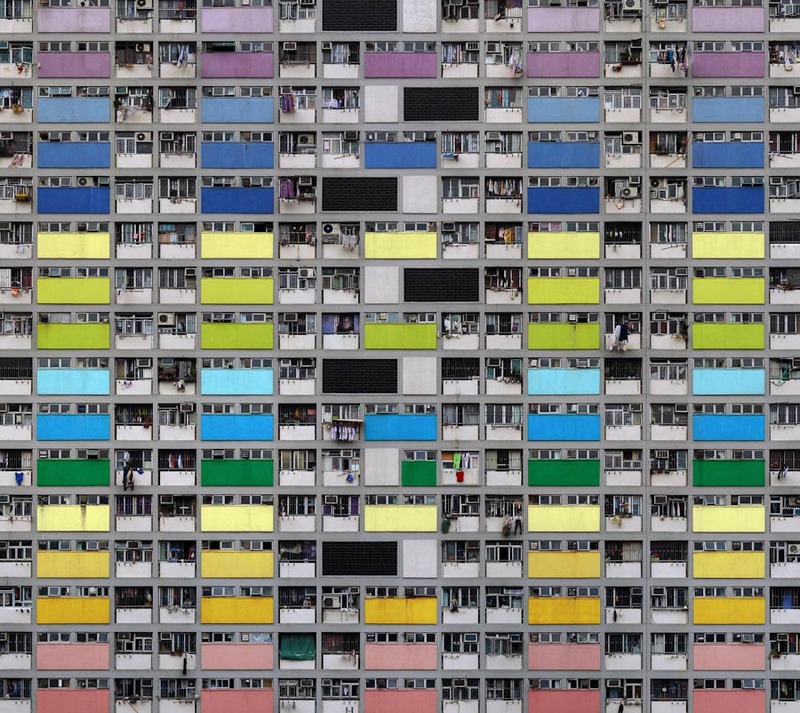 The focus of his work is life in mega cities: many of his projects document the architecture and the culture of people’s everyday life in metropolises. Through his lens, every unnoticed and assumedly insignificant detail turns into a meaningful feature. 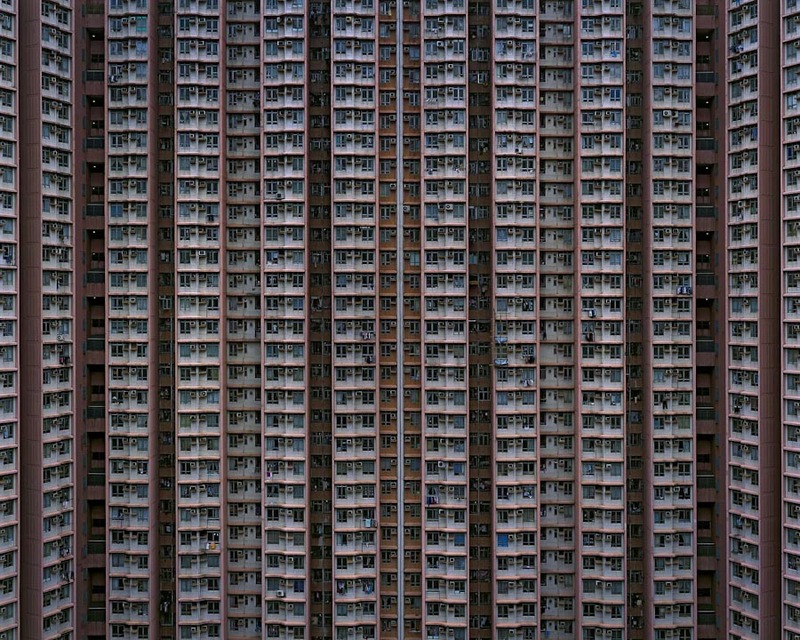 In his best-known series Architecture of density, Wolf represents the extreme densities of Hong Kong by emphasizing on the repetition of pattern to cause visual disruption. 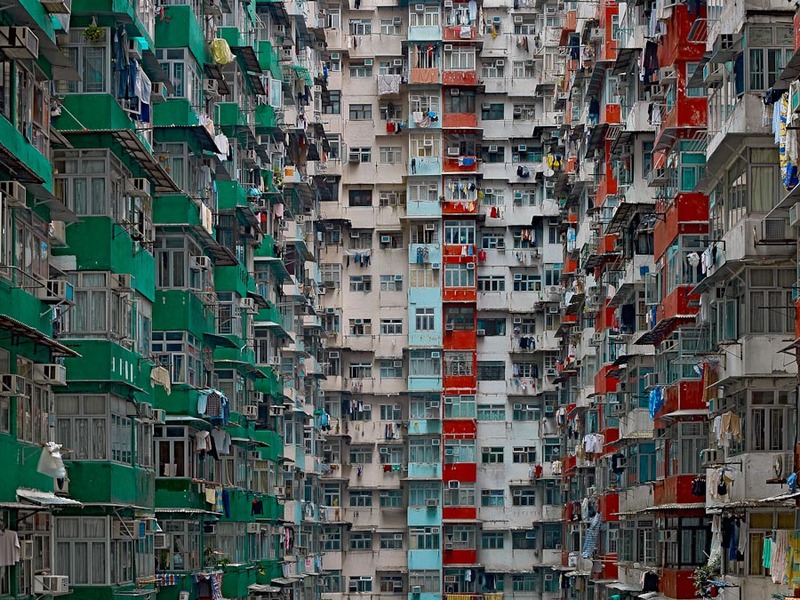 Hong Kong here is portrayed as a city compelled to move itself upwards to cope with the lack of lateral space. 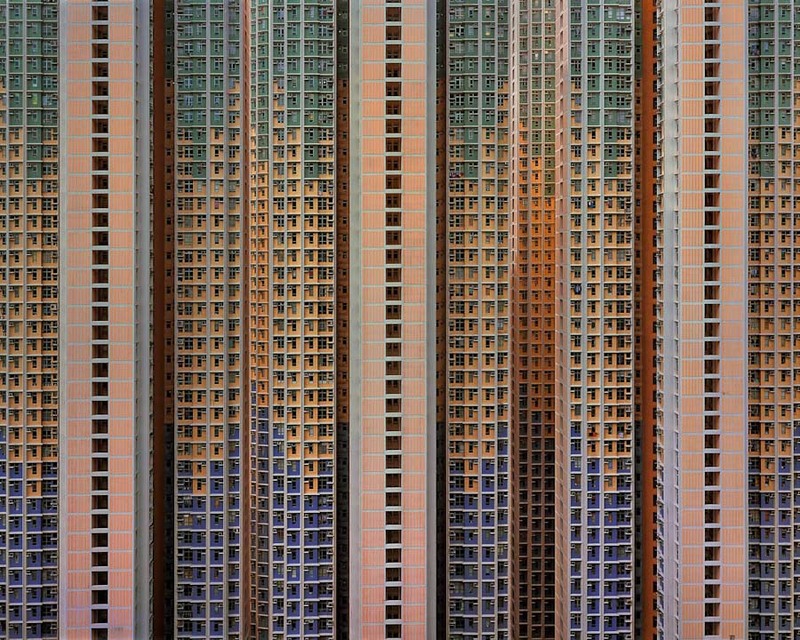 Wolf eliminates the sky and horizon line to flatten each image and turn these facades into seemingly never-ending abstract forms. 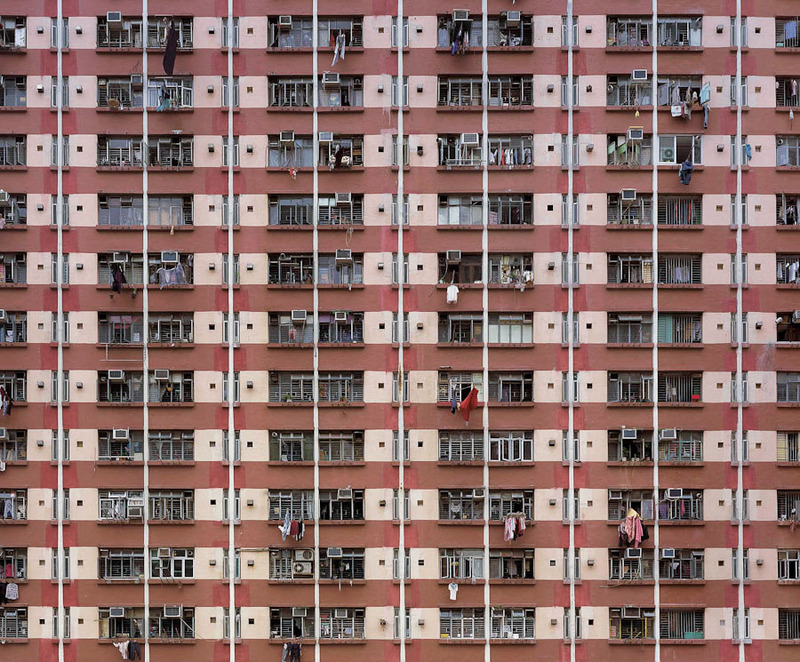 Nevertheless his compositions are not merely about architecture: a close look at his photographs reveals the evidence of people’ presence within these urban structures, such as clothes hanging out to dry or silhouettes behind windows. Wolf offers a vision in which public space and private space, interior and exterior amalgamate with another, suggesting then that magnificence and uncanniness can coexist.